This is one of the many award-winning billboards created by CongelioVB for Buc-ee’s. 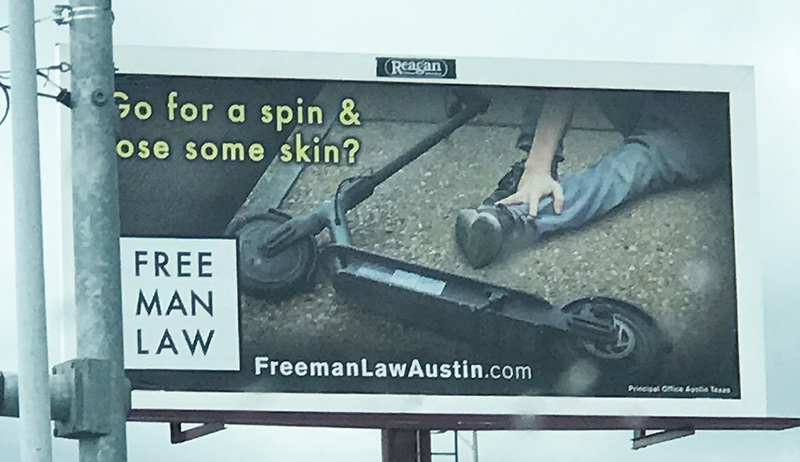 This is a billboard spotted in Austin, TX for a lawyer that sues electric scooter companies for accidents that happen on their scooters. This is a small collection of mainly copy ads from Eve Mattress. They are primarily text and hardly feature photos of the features of the mattresses. This is a funny (yet memorable) billboard for a dental practice. It references the “Guardians of the Galaxy” movie and even has a funny “I am tooth!” character.